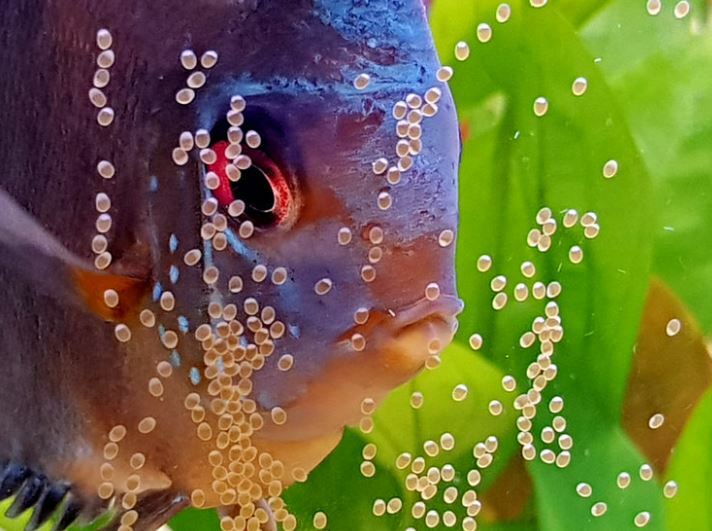 Breeding animals – fishes, dogs and so on – can be tough, and so is breeding discus for profit. However, breeding is a passion people love, which makes its challenges even more thrilling. Breeding discus, especially when it’s for profit comes with its fair share of problems. You can’t put a school of discus in a tank, go to sleep and expect money to flood in. However, when it’s done the right way, breeding discus for profit can fulfill both your passion and financial needs. To successfully breed discus for profit, you have to put some things into consideration. In this article, we’ll take a look at some of the factors to help you start a successful discus breeding business. If you are breeding discus for profit, then it’s always best to select healthy ones. Also, pay attention to discus fishes that have been genetically modified. When choosing discus fishes, consider their shapes and ensure they are round. Also, there should be a healthy protrusion of fins from their body. Also make sure their eyes aren’t chipped, as discus with chipped eyes may have been genetically engineered. When breeding discus for profit, also ensure to select good breeding pairs. You can begin producing with 10 or 15 young pairs of the same strain and let them pair off. You can’t afford to compromise on equipment when breeding discus for profit as you’ll run at a loss. For the discus tank, choosing one depends on the number of fishes you intend starting with. A tank of about 60 gallons is ideal when you are keeping 7 to 10 discus fishes. You don’t want to overcrowd your tank. Also, an aqua clear 500 filter and water heater are required. For aeration, use a check valve and airstone. If you intend using tap water, you should keep chlorine level low using Seachem Prime. Poor quality of water is often the root cause of most failures at breeding. Hence, to successfully breed discus for profit, water quality must be high at all times. High nitrogen level is dangerous to the health of discus fishes, and must, therefore, be kept low. The PH level is also very important and should be slightly alkaline at a range between 6.0 and 6.5. The water temperature must also be suitable at around 90o F.
Therefore, if you intend breeding discus for profit, PH meter, aquatic water heater, and aquarium thermometer are a must-have. A significant disease of discus is the gill fluke. Young discus fishes sometimes develop gill flukes, which should be treated immediately. You can treat the tank water with Prazipro – an active, ready to use liquid concentrate. Formalin is also effective in protecting young fries from flukes. Wiping the inside of the tank down is another method. With these suggestions, you can be successful at breeding discus for profit. Who says you can’t live off what you love doing? You’d love to breed discus fishes for profit but don’t know what to do? Contact us. Make sure to check our recommended discus breeding supplies.